If you’re like us, you probably look back at this time of year and wonder where the time has gone — how did 2013 slip by so quickly? We also think about some of the stories we wrote and wonder, What ever happened to…? That’s why we chose, somewhat subjectively, to report the outcomes of these seven scenarios. Last December, the fate of one of Vermont’s few National Historic Landmarks seemed to hang in the balance. The St. Johnsbury Athenaeum, a beautiful 1871 building that houses the town library as well as a priceless collection of Hudson River School paintings and other artworks, attempted to stem its annual financial hemorrhage by severely cutting back its library staff. As Julia Shipley reported in a series of articles in Seven Days, eight staff members were sacked and invited to apply for four new positions. In protest, more than 200 library supporters surrounded the building in a giant hug. Ill will abounded, and lingered. 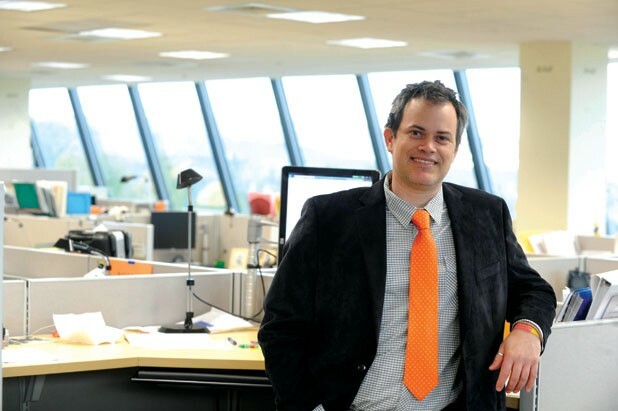 Matthew Powers was the Athenaeum’s executive director at the time; he left the position voluntarily in April and now heads the Woodstock History Center. Powers says he didn’t agree with the board’s “aggressive” two-year time frame for eliminating the deficit, but he knew something had to be done. “The place would have had to close down in five to 10 years” — Powers directed it for two and a half — “and they would have had to start selling off assets,” meaning paintings, he says. Even that last-resort decision would have stemmed only short-term losses. The board’s first step in restructuring was to make Bob Joly, previously a librarian who worked in the gallery, the new curator of collections. Powers says he “created that position with Bob in mind,” and with the aim of raising the gallery’s profile. Only two other former librarians retained jobs: Shara McCaffrey and Donna Stinehour were rehired as librarian and associate librarian. The new hires were librarian Alex Lent and youth-services librarian MacKenzie Ross. Update: As of December 2, Joly became the Athenaeum’s executive director as well, and Powers deems him perfectly suited to the dual job. “He’s friendly and easygoing but decisive,” says the former director. Reached by phone at his new position, Joly is upbeat about the financial situation he is taking on. While the institution previously drew liberally from its endowment to meet budget each year, Joly aims to keep withdrawals well under 5 percent annually. As director, he’ll focus on increasing planned giving — cultivating those key relationships with current and potential donors — and writing more grant applications, despite today’s furiously competitive grant environment. In his curatorial role, Joly says, “My goal is to make the gallery portion as well known as the library portion.” He plans a frame-conservation project that is likely to get grant funding, a picture-rail system for the second floor, and an updated lighting system. 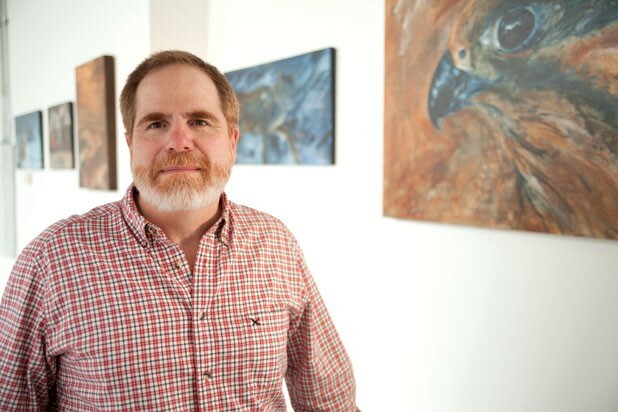 Joly also hopes to grow the fine-art collection with contemporary landscapes influenced by the Hudson River School — though he admits this would require finding a storage facility. Currently, the entire collection fills the walls, and the Athenaeum has no storage space. 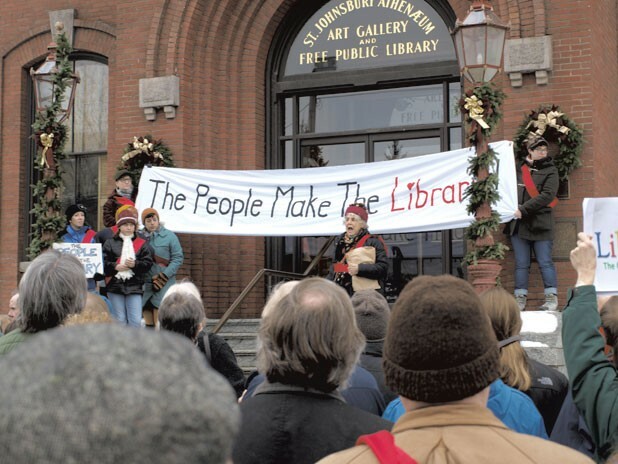 Meanwhile, the library’s patrons continue to come not just from St. Johnsbury but from many surrounding towns. Will library services be affected by the reduced staff? The only change Joly mentions is that, starting in January, Tuesday and Thursday hours will be shifted — not reduced — to later in the day, bringing back the popular evening hours. Powers predicts the unique institution will survive. “Over time, it will move on and things will heal,” he says. Update: We haven’t talked with MacIver since — though he has turned up in a series of news stories when he challenged a bogus traffic ticket and sued the town of Shelburne. For Winooski, though, things have been looking up lately. Not only has the Onion City benefited from a number of high-quality eateries setting up shop — along with a handsome wine bar, oak45, in MacIver’s former quarters — but this month another gallery arrived at the roundabout. Jodi Harrington and Liza Cowan, both veterans of pop-up galleries, established Winooski Circle Arts, which features an eclectic assortment of fine art and creative home goods by some 35 Vermont artists. Let’s hope it has popped up to stay. Earlier this year, Aaron Goldberg and Jeff Potash, archivists at Burlington’s Ohavi Zedek Synagogue, spearheaded an effort to restore, preserve and relocate a one-of-a-kind artistic treasure: a 1910 synagogue mural painted on an interior wall of an Old North End apartment building. Dubbed the “Lost Shul Mural,” the extraordinary artwork is evocative not only of centuries-old traditions of European religious painting but of Burlington’s own “Little Jerusalem” community of the 19th century. 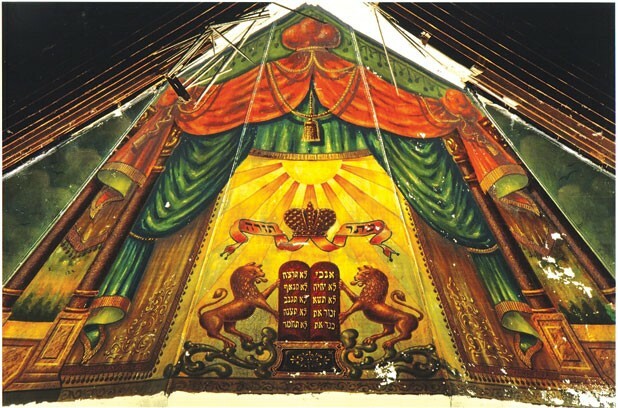 Goldberg and Potash’s devoted and enthusiastic efforts to preserve the mural and move it to Ohavi Zedek have attracted the interest of scholars, conservationists, religious figures and residents. Even more satisfying for its founders, the Lost Shul Mural project has received several high-level endorsements, most prominently that of former Vermont governor Madeleine May Kunin. When she was a child, Kunin’s family immigrated to America from her native Switzerland to escape the Holocaust. Kunin’s unsolicited endorsement of the project has refocused media attention on it. Vermont’s Office of the Creative Economy was launched in 2011 by legislative order. The idea was to put government muscle behind those sectors of the creative economy for which Vermont is not necessarily known: film and new media, advertising and marketing, and software and gaming. But the office isn’t entirely geared toward “cracking open the Vermont brand,” as Torres puts it. It is also tasked with growing those sectors. To determine how best to do so, OCE distributed an online survey to 1000 businesses statewide last January. The 15-question survey was the brainchild of Torres’ predecessor, Joe Bookchin, and the results came in a month before Torres did. Update: What did OCE learn, and how has it changed what Torres calls the office’s original “broad mandate” from the legislature? About 180 business owners and entrepreneurs responded. Sixty-four percent hadn’t heard of OCE before seeing the survey — inevitably, perhaps, given the still-fledging status of this branch of the Vermont Agency of Commerce and Community Development. The respondents were mostly tiny but established companies that employ between one and four people. Torres says the biggest surprise was “how many had been at one person for a long time and expected to grow to two in the next year. There was high optimism relative to prior performance,” he notes. What these companies’ owners said they needed most was marketing workshops and help with networking, both peer-to-peer and among businesses and “designers, engineers and developers.” Startups sought the most help. And the biggest draw for startup owners was Vermont’s quality of life. Dibble would also appreciate actual seed money and marketing dollars. The “grossly under-resourced” OCE, as Torres puts it, can’t provide such funds, but it can and does connect businesses with entities that do. Those include local events such as Peak Pitch, hosted annually by Fresh Tracks Capital, which matches businesses with investors; and venture-capital funds such as the Vermont Seed Capital Fund. See full survey results at accd.vermont.gov. 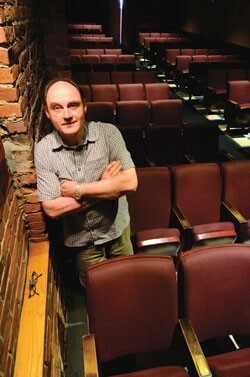 In late September, Terrence Youk of Montpelier’s Savoy Theater sent out a press release announcing “drastic cuts.” Low 2013 ticket sales had forced the art house’s owner to reduce his staff of 20 by seven. To keep those conversations going, Youk plans to institute a free popcorn night starting in January, and then a series of free TED talk lunch hours. He’s also designed a new marquee that would protrude from the building, calling more attention to the theater. Meanwhile, Downstairs Video keeps on trucking with limited hours, though Youk admits, “I would have predicted that it would have gone away long ago.” The region, he notes, still has “big pockets of places” without broadband access. For now and the foreseeable future, the shows go on. In November, Burlington video game developer Birnam Wood Games released its latest downloadable title, Pathogen, for iOS and PC. 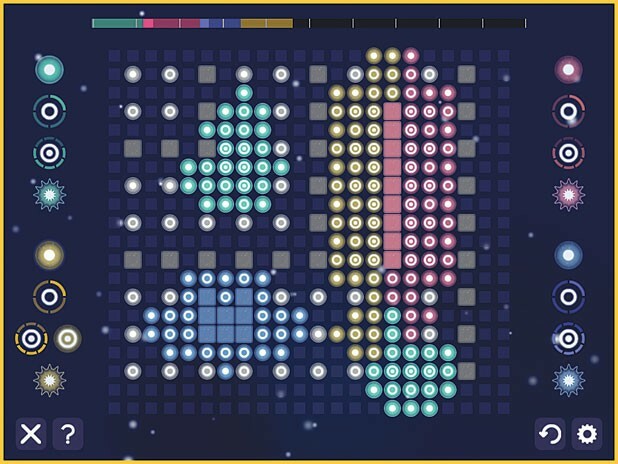 Pathogen, which evokes classic strategy board games such as Othello and Go, is a challenging, addictive game in which players compete to “infect” the “cells” that constitute the playing field. It’s simple enough to allow players to grasp its rules in a moment, yet complex enough to yield rich and varied gameplay. The designers and programmers at Birnam Wood — principal Pathogen designer Zach Bohn, company president Marguerite Dibble, developer Matt Brand and programmer Mike Hopke — met and began working together at Champlain College’s game-design program. After a previous title, Loc, proved unsuccessful, the team connected with the independent game publisher Gameblyr. Though Pathogen attracted positive attention in prerelease, the mood at Birnam Wood before its debut was one of excitement tempered by anxiety: The market for downloadable games is notoriously challenging. Update: The week immediately following Pathogen’s release was “pretty damn exciting,” says Dibble, 23. Apple spotlighted the title in its “best new games” feature; on the App Store, Pathogen was, for a time, ranked No. 1 in iOS Board Games and No. 5 in iOS Strategy Games. Dibble estimates the game was downloaded about 2000 times on the first day of release; total downloads, at press time, were about 8000. Birnam Wood is by no means done with Pathogen. A free, stripped-down version of the game is available this month; in early 2014, the team will improve the online ranking and rewards system and develop versions of the game for Android and Kindle. This story came together very quickly, just in the past few weeks. 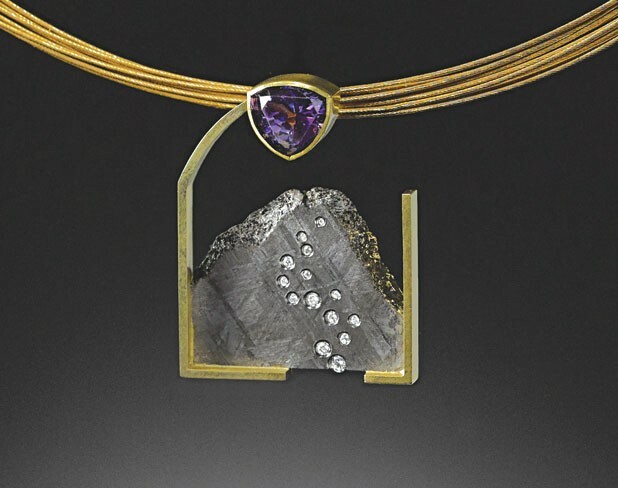 On November 27, we wrote a preview of an exhibit at Von Bargen’s in Burlington that would feature jewelry by Laurie Peters — longtime professor of fine metals and jewelry making at the University of Vermont — and some of her former students. Those students, now successful jewelers themselves, include Jane Koplewitz, Jacob Albee and Timothy Grannis. The weeklong show opened on December 11. We also reported that, with Peters’ retirement this year, the UVM art department was planning to discontinue its fine-metals curriculum. That decision occasioned dismay and outrage among those who learned their craft in the program. It also presented a golden opportunity for Burlington City Arts, and ignited some quick action. Update: BCA director Doreen Kraft, along with board and staff members, jumped at the opportunity to purchase UVM’s metal-working equipment, as we noted on the Seven Days blog Live Culture. Jewelry making is already an extremely popular class offered by BCA, Kraft said, but has been limited by the lack of professional equipment. “This felt like the perfect moment to respond to a community need,” she said. BCA will now move into fundraising mode, Kraft noted, seeking $2500 to purchase the equipment from UVM, and an estimated $2500 to $5000 to set up the studio at Memorial Auditorium. Eventually, Kraft envisions a new, much larger facility — perhaps in the city’s South End — where BCA can bring all its education programs under one roof. The fine-metals studio will be named in honor of Laurie Peters.